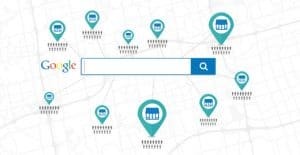 Should multi-store Businesses Take Local SEO Seriously? kaburulu / February 13, 2018 / Comments Off on Should multi-store Businesses Take Local SEO Seriously? Author Bio – Shishir is an ex-startup entrepreneur currently working on kickstarting inbound marketing for a Silicon Valley startup. Cracked the code of generating 750K monthly traffic in 10 months by using creative content. When you are a global brand, having numerous stores in different locations, it is a common rumour spread around that you don’t need to take local SEO seriously. Are you also thinking that it’s legible to say so? If so, you’re totally wrong. Why a multi-store Business, too, needs to Emphasize on local SEO? Know what?You are global for sure, but not everywhere. And trust us, it’s not a good idea to make an Australian buyer sad, when he lands on your website and come to know that your ‘Street Food’ business range is sprawled across multiple locations in India only. Even if willing desperately to buy your product, he/she will definitely avoid making purchase, we guarantee. It means that ‘click’ will never ‘convert’. Think if a person, living hardly 500 meters away from your location, searches for ‘Street Food in Delhi’. Even if loves your brand, he won’t visit you until you will be visible for this keyword. It is because of the fact that this buyer never knew that you existed in proximity. To summarize it: You are actually wasting your resources, efforts, money and time by focusing solely on SEO, while neglecting the ‘local presence’ totally. And when you don’t want to let such things happen, Local SEO implementation becomes essential. What happens when Multi-store Businesses Neglect Local SEO? 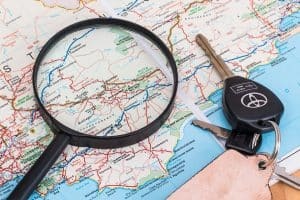 When you’re new to a location, visibility and reputation can be built through Local SEO only. It becomes more significant when you are entering a totally new market. For instance, consider you are entering the Indian market and your store is operating already in multiple locations in New Zealand. Then it will be only possible to take advantage of your ‘home’ reputation if you are ranking higher in local searches.84% of the people believe in you, if you have reliable and positive reviews online. 92% of the people used online methods to find out the suitable service or store near them, making ‘near me’ being used 34 times more than the previous years. This stat is extract of a research survey held 4 years back. So obviously, the trust on businesses ranking higher in the local services would have been increased from then. And when you are nowhere in local searches, you’re actually nowhere competing. Sounds bad? Because it is! Better will be to take keen care of Local SEO practices you adopt. If your location is filled with techies, you will remain at the huge loss as they will prefer buying from the ‘local brands’ instead of trying a comparatively new business. And mind it – You are a new business, every time you enter a new market. Search engines like Google and Bing do not only rank the local businesses on the search queries based on location. They also track the location of searchers and put three top searches from their location. Therefore, it will be good if you perform proper SEO of your website for every of your store location. More ‘local’ people, i.e. potential customers, will know about your business. Why your multi-location venture does not rank for the target Locations? You Ignored GMB, Google is ignoring you! How to Win Local Traffic and Impress your Users? Add web pages for each of your locations and put worthy content in them. Ask local customers to leave reviews. Hire experienced local SEO experts to help you implement the best local SEO strategy. Utilise the Social Spheresi.e. Social Media channels, like Facebook, Twitter, Instagram, etc. Register your location to Google Maps so that local people can reach you easily. You may get placed in Featured SERP at Position Zero, if did so. It means extra preference to your business! Structuring website for Local Queries. Fun Fact is76% of the customers who visit multi-store business’s website online end up visiting the store if it’s present in their location. So it will be safer to say that every multi-store business should take Local SEO seriously.